Special Olympics San Luis Obispo County offers training and competition opportunities in 11 different year-round sports. Special Olympics provides training for life. Our programs not only provide people with intellectual disabilities with physical fitness and athletic competition, but also social interaction, community involvement, and empowerment. Local law enforcement officers will trade in their badges for aprons to spend an evening serving you and raising money for Special Olympics San Luis Obispo County. 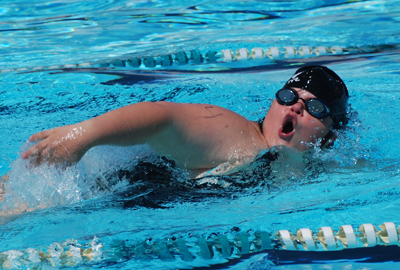 Special Olympics San Luis Obispo County offers 10 Olympic-style individual and team sports that provide meaningful training and competition opportunities for individuals with intellectual disabilities. 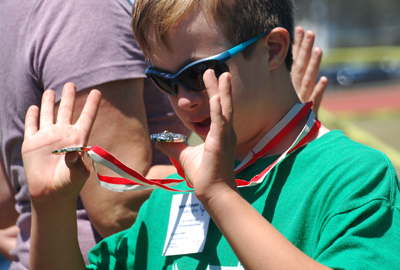 No matter the person's age or skill level, Special Olympics San Luis Obispo County has something for every person with intellectual disabilities. 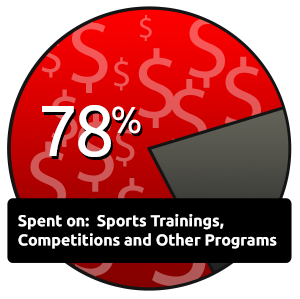 We deliver high-quality, year-round competition and training opportunities in an inclusive culture that stresses athletic excellence, rewards determination, emphasizes health, and celebrates personal achievement. Kenna Shannon at kshannon@sosc.org or (805) 544-6444. 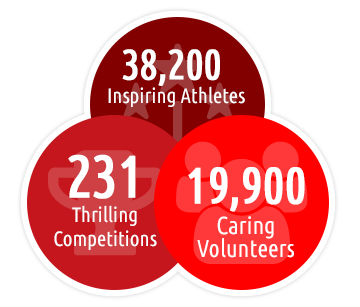 Reach out and change the lives of thousands of Special Olympics athletes. We offer customized programs that let you create a corporate program that’s in line with your company’s goals and objectives. Be a fan in the stand and cheer on our athletes at a local competition or attend one of our fun and exciting fundraisers like the Special Olympics on Parade! Special Olympics Southern California provides year-round sports training and athletic competition in a variety of Olympic-type sports for children and adults with intellectual disabilities, giving them continuing opportunities to develop physical fitness, demonstrate courage, experience joy and participate in a sharing of gifts, skills and friendship with their families, other Special Olympics athletes and the community. Adelaide, Arroyo Grande, Atascadero, Avila Beach, Cal Poly SLO, Cal Poly University, Cambria, Cayucos, Creston, Grover Beach, Harmony, Heritage Ranch, Los Osos, Morro Bay, Nipomo, Oceano, Parkfield, Paso Robles, Pismo Beach, Ragged Point, San Luis Obispo, San Miguel, San Simeon, Santa Margarita, Shandon, Shell Beach, and Templeton.